Physical activity is associated with a variety of health benefits, but individuals who engage in it are also vulnerable to injury. Lateral ankle sprains are one of the most common injuries sustained during physical activity. Within the past decade, ankle sprains have represented approximately 80% of ankle injuries in athletes1,2 and military cadets,3 placing an immense economic burden on the healthcare industry. Following the occurrence of one or more acute ankle sprains, individuals often go on to develop chronic ankle instability (CAI). CAI is a health condition characterized by residual symptoms that include feelings of giving way along with instability, recurrent ankle sprains, and functional loss.4 While much emphasis has been placed on the physical impairments associated with this condition, less is known about the influence of CAI on the person as a whole. The majority of CAI research efforts thus far have focused on capturing disease-oriented evidence. 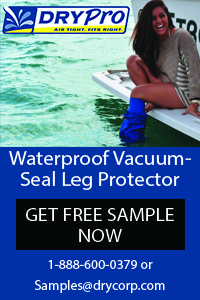 However, increasing effort has been made to capture patient-oriented evidence in recent years. With added emphasis on evidence-based practice, it is important for clinicians to consider the patient’s perception of his or her health status when making clinical decisions. In this review, we discuss the influence of CAI on HRQOL, the associations between physical impairment and HRQOL in individuals with CAI, and the importance of integrating the patient’s values and perceptions of their condition into the rehabilitation process. CAI has been linked to long-term residual symptoms that affect daily life and sport activity for years following the initial injury.1 To gauge the patients’ perception of their HRQOL, clinicians and researchers often assess patient-reported outcomes. Patient-reported outcomes are determined using questionnaires or survey instruments that ask patients to self-report their perception of a condition, injury, or health status. Due to the multidimensional nature of HRQOL, a variety of patient-reported outcomes have been designed to measure generic, region-specific, and dimension-specific health components. Generic outcomes (ie, the Short Form-36 [SF-36]) are not specific to a body region or condition and are designed to assess the patient’s overall health.7 Region-specific outcomes (ie, the Foot and Ankle Ability Measure [FAAM]) are specific to a joint (eg, the ankle) or region of the body (eg, the lower extremity). Dimension-specific outcomes (ie, the Fear-Avoidance Beliefs Questionnaire [FABQ]) are used to capture one aspect of an individual’s health, such as pain or injury-related fear. Figure 1. Clinical and laboratory tests used to measure physical impairments that contribute to HRQOL. Top left: Star Excursion Balance Test. 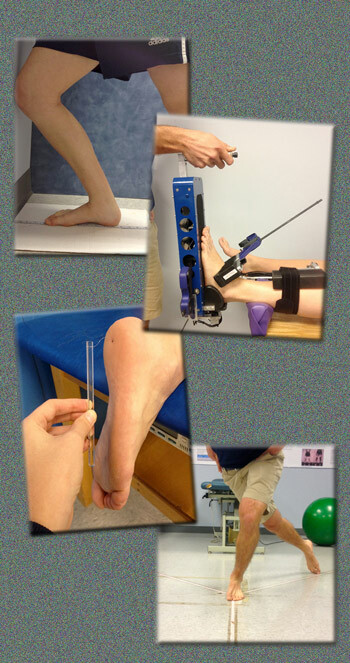 Top right: a Semmes-Weinstein Monofilament being used to test plantar cutaneous sensation. Bottom left: Weight-bearing lunge test for dorsiflexion range of motion. Bottom right: ankle arthrometer. CAI has been associated with generic, region-specific, and dimension-specific HRQOL deficits. Therefore, CAI appears to be a condition that, from the patient’s viewpoint, has widespread influences on HRQOL. For the past decade, researchers and clinicians have identified HRQOL deficits in those with CAI using region-specific patient-reported outcomes, such as the FAAM.8 Most recently, the International Ankle Consortium has designated that a region-specific patient-reported outcome be used to describe the level of disability in CAI research participants and only be used as an inclusion criterion if the level of self-reported function is important to the research question posed.9 Endorsed questionnaires include the FAAM and Foot and Ankle Outcome Score (FAOS). Arnold et al10 were the first to expand the multidimensional profile of HRQOL in individuals with CAI and assess general health and well-being using the SF-36. Compared with uninjured participants, those with CAI reported more functional limitations on the FAAM and decreased physical but not mental health on the SF-36. Our study11 broadened the HRQOL profile of individuals with CAI by capturing region-specific (FAAM), generic (Disablement in the Physically Active Scale [DPA]), and dimension-specific (FABQ, Tampa Scale of Kinesiophobia-11 [TSK-11]) patient-reported outcomes. Compared with healthy participants, those with CAI reported functional limitations on the FAAM, decreased function on the DPA, and increased fear of reinjury on the FABQ and TSK-11. More recently, we conducted a systematic review12 to provide a comprehensive overview of HRQOL as measured by patient-reported outcomes in those with CAI. The evidence obtained from the systematic review12 suggested that individuals with CAI report HRQOL deficits in comparison with healthy controls and ankle sprain copers (those who do not develop chronic ankle instability following an acute ankle sprain), particularly on region-specific patient-reported outcomes. Thus, there is clear evidence that individuals with CAI experience HRQOL deficits in addition to the physical impairments associated with the condition. Accordingly, such deficits should be taken into consideration when treating CAI and ankle sprains that precede the condition. Despite the knowledge that physical impairment and decreased HRQOL both significantly affect those with CAI, few studies13-15 have investigated the relationships between impairment and HRQOL. Hubbard-Turner13 concluded that mechanical laxity contributes to region-specific deficits as reported on the Foot and Ankle Disability Index (FADI). Anterior laxity strongly correlated with FADI (correlation coefficient r = -.65) and FADI-Sport (r = -.88) scores, and inversion rotation moderately correlated with FADI (r = -.53) and FADI-Sport (r = -.45) scores. Therefore, as laxity or rotation increased, the patient’s perception of function decreased. However, in a previous study15 the relationship between ankle laxity and FADI scores was weak, with correlation coefficients ranging from -.06 to -.26. 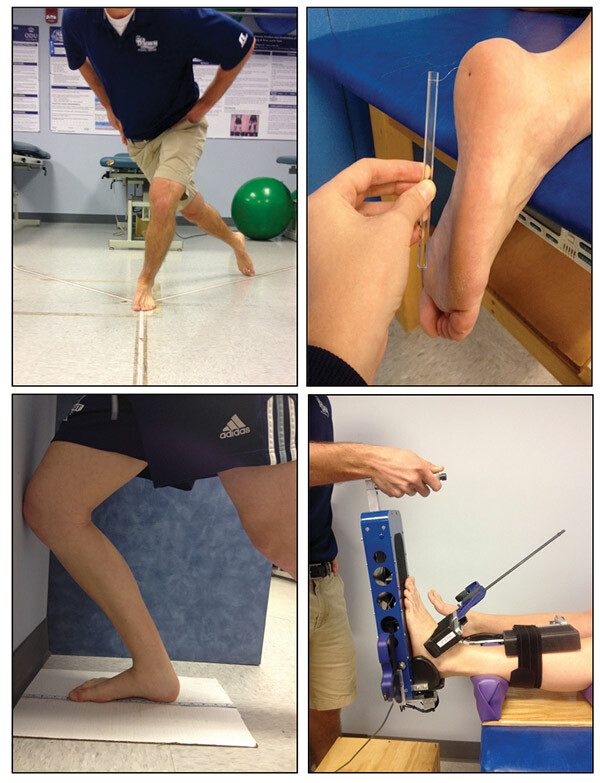 We examined relationships between well-known physical impairments associated with CAI and patient-reported outcomes and identified a combination of mechanical and functional impairments (ie, postural control, dorsiflexion range of motion, plantar cutaneous sensation, and ankle arthrometry) that contributed to HRQOL.14 Therefore, utilizing rehabilitation strategies that target the physical impairments with known contributions to HRQOL may in turn improve both physical function and HRQOL in individuals with CAI. From the current literature, we know that HRQOL deficits exist in individuals with CAI. Additionally, there appears to be some overlap between clinician and laboratory-oriented measures of physical function and patient-oriented measures of HRQOL. Consequently, the patient’s perception of health status as seen through patient-reported outcomes should be an integral part of the rehabilitation paradigm for CAI. While the exact cause of the self-reported HRQOL deficits is unknown, if left unaddressed, these deficits may have long-term consequences associated with the condition. To date, researchers have observed beneficial changes in HRQOL on region-specific patient-reported outcomes (ie, FAAM and FADI) following joint mobilizations,16 balance training,17 and a comprehensive rehabilitation program.18 Hoch et al16 observed improvements in self-reported function on the FAAM (preintervention, 78.3% ± 12.6%; postintervention, 87.3% ± 11.07%) and FAAM-Sport (preintervention, 58.6% ± 11.1%; postintervention, 73.7% ± 17.7%) following a two-week posterior talar glide joint mobilization intervention. McKeon et al17 reported similar improvements on the FADI (pretest, 85.5 ± 8.4; post-test, 93.7 ± 7.4) and FADI-Sport (pretest, 69.9 ± 12.1; post-test, 85.0 ± 14.4) following a four-week balance training protocol. Hale et al18 detected similar improvements on the FADI (change score = 7.3) and FADI-Sport (change score = 11.1) using a comprehensive rehabilitation program that included strength, range of motion and balance exercises, and functional tasks. Hence, region-specific outcomes appear to be modifiable postintervention. Thus, clinicians should use patient-reported outcomes to better monitor patient status and evaluate treatment efficacy. Furthermore, when monitoring patient-reported outcomes, one should have an understanding of change scores for HRQOL assessment tools to know whether or not the treatment was effective and whether the effect was clinically meaningful. Change scores include the minimal detectable change (MDC) and the minimal clinically important difference (MCID). Currently, the only patient-reported outcome in the CAI literature with well-established change scores is the FAAM. An MDC of 7.8% on the FAAM or 9.5% on the FAAM-Sport16 indicates the change in score has exceeded measurement error. In addition, an MCID of 15.5% on the FAAM or 28.1% on the FAAM-Sport16 indicates the patient has perceived a beneficial change. Thus, MDC and MCID scores should be used to interpret patient progress and adjust treatment protocols accordingly. For example, the change score observed following joint mobilizations in the previously mentioned study16 for the FAAM was 9%. Thus, the change observed was beyond statistical error (> 7.8%) but not necessarily meaningful to the patient (< 15.5%). While there are various reasons that the change score did not exceed the MCID in this particular study (eg, time, mobilization as the only form of treatment), clinicians can monitor patient-reported outcomes and make modifications to aid the patient. For instance, the clinician could look at the patient’s scores on the individual items of the FAAM and make sure that the tasks (ie, walking up hills, jumping, running) associated with the items for which the patient has lower scores are being properly addressed by the rehabilitation protocol. By using patient-reported outcomes the clinician would also be able to monitor effective treatment strategies. 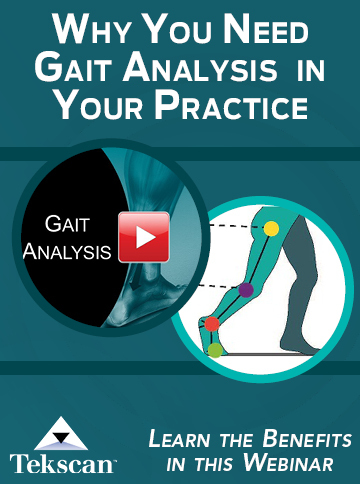 The clinician may find that patients with CAI demonstrate immprovement following a manual therapy technique, such as joint mobilizations, and adjust their treatment protocol accordingly. Additionally, clinicians should continue to monitor the literature for change scores relevant to the patient-reported outcomes they use and for the populations they treat. In addition to monitoring patient status through patient-reported outcomes, clinicians can also target physical impairments that are known to contribute to HRQOL. We found that postural control, dorsiflexion range of motion, plantar cutaneous sensation, and ankle arthrometry contributed to 18% to 35% of the variance in patient-reported HRQOL outcome scores.14 In theory, targeting the physical impairments known to contribute to patient-reported outcomes may improve both physical function and HRQOL in individuals with CAI. Thus, clinicians can utilize balance exercises,18-20 foot orthoses,21,22 plantar massage,23 joint mobilizations,16 taping,24 and bracing25 to treat the identified impairments. However, it is imperative that clinicians tailor rehabilitation programs to match the unique needs of the individual patient, as not all CAI patients will exhibit identical physical impairments, and HRQOL may not be contributing to a patient’s overall disability in all cases. Despite the links we have identified between physical impairment and HRQOL it is important that clinicians recognize that the variables identified accounted for only up to 35% of the variance in HRQOL. Thus, it is clear that there are other variables contributing to HRQOL detriments. Accordingly, it is important that clinicians recognize that some health issues may be beyond the scope of their control and require referral. For example, heightened fear of reinjury or mental components of HRQOL such as social anxiety or altered relationships may be better addressed by mental health professionals. Clinicians should endeavor to recognize when a patient’s ailments are beyond their scope of practice and refer to the appropriate healthcare professional. It is evident from the current literature that individuals with CAI exhibit HRQOL deficits. As a result, clinicians must recognize the value of whole-person healthcare and acknowledge that each patient copes with injury in his or her own unique way. Patient-reported outcomes provide an outlet for the patient and a resource for clinicians to obtain pertinent information regarding the individual’s perception of his or her physical impairment, activity limitations, and participation restrictions following injury. This information can be used to design and implement evidence-based treatment and rehabilitation strategies that emphasize the best available evidence, clinical expertise, and patient values. Overall, the current literature suggests that CAI impacts the multidimensional profile of HRQOL and reiterates the usefulness of implementing patient-reported outcomes as clinical assessment tools. Using patient-reported outcomes to capture the patient’s perception of disablement following injury is vital to improving the overall quality of care provided and ensuring a complete recovery. Megan N. Houston, PhD, ATC, is a postdoctoral research fellow in anatomical and clinical neurotrauma at A.T. Still University in Mesa, AZ. 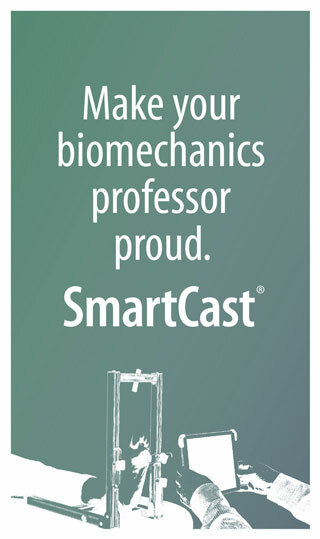 Matthew C. Hoch PhD, ATC, is an assistant professor in the School of Physical Therapy & Athletic Training at Old Dominion University in Norfolk, VA.
Fong DT, Hong Y, Chan LK, et al. A systematic review on ankle injury and ankle sprain in sports. Sports Med 2007;37(1):73-94. Waterman BR, Belmont PJ, Jr., Cameron KL, et al. Epidemiology of ankle sprain at the United States Military Academy. Am J Sports Med 2010;38(4):797-803. Delahunt E, Coughlan GF, Caulfield B, et al. Inclusion criteria when investigating insufficiencies in chronic ankle instability. Med Sci Sports Exerc 2010;42(11):2106-2121. World Health Organization. International classification of functioning, disability and health. Geneva, Switzerland: World Health Organization; 2001. Parsons JT, Snyder AR. Health-related quality of life as a primary clinical outcome in sport rehabilitation. J Sport Rehabil 2011;20(1):17-36. Snyder AR, Valovich McLeod TC. Selecting patient-based outcome measures. Athl Ther Today 2007;12(6):12-15. Arnold BL, Wright CJ, Ross SE. Functional ankle instability and health-related quality of life. J Athl Train 2011;46(6):634-641. Gribble PA, Delahunt E, Bleakley CM, et al. Selection criteria for patients with chronic ankle instability in controlled research: a position statement of the International Ankle Consortium. J Athl Train 2014;49(1):121-127. Houston MN, Van Lunen BL, Hoch MC. Health-related quality of life in individuals with chronic ankle instability. J Athl Train 2014;49(6);758-763. Hubbard-Turner T. Relationship between mechanical ankle joint laxity and subjective function. Foot Ankle Int 2012;33(10):852-856. Hubbard TJ, Olmsted-Kramer LC, Hertel J, Sherbondy P. Anterior-posterior mobility of the talus in subjects with chronic ankle instability. Phys Ther Sport 2005;6(3):146-152. Hoch MC, Andreatta RD, Mullineaux DR, et al. Two-week joint mobilization intervention improves self-reported function, range of motion, and dynamic balance in those with chronic ankle instability. J Orthop Res 2012;30(11):1798-1804. McKeon PO, Ingersoll CD, Kerrigan DC, et al. Balance training improves function and postural control in those with chronic ankle instability. Med Sci Sports Exerc 2008;40(10):1810-1819. Hale SA, Hertel J, Olmsted-Kramer LC. The effect of a 4-week comprehensive rehabilitation program on postural control and lower extremity function in individuals with chronic ankle instability. J Orthop Sports Phys Ther 2007;37(6):303-311. Martin RL, Irrgang JJ, Burdett RG, et al. Evidence of validity for the Foot and Ankle Ability Measure (FAAM). Foot Ankle Int 2005;26(11):968-983. Rozzi SL, Lephart SM, Sterner R, Kuligowski L. Balance training for persons with functionally unstable ankles. J Orthop Sports Phys Ther 1999;29(8):478-486. Corbin DM, Hart JM, McKeon PO, et al. The effect of textured insoles on postural control in double and single limb stance. J Sport Rehabil 2007;16(4):363-372. Sesma AR, Mattacola CG, Uhl TL, et al. Effect of foot orthotics on single-and double-limb dynamic balance tasks in patients with chronic ankle instability. Foot Ankle Spec 2008;1(6):330-337. Leclaire J, Wikstrom E. Massage for postural control in individuals with chronic ankle instability. Athl Train Sports Health Care 2012;4(5):213-219. Hubbard TJ, Cordova M. Effect of ankle taping on mechanical laxity in chronic ankle instability. Foot Ankle Int 2010;31(6):499-504. Miller H, Needle AR, Swanik CB, et al. Role of external prophylactic support in restricting accessory ankle motion after exercise. Foot Ankle Int 2012;33(10):862-869.